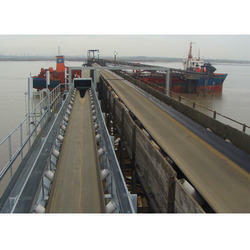 We are a reckoned Manufacturer and Exporter of Belt Conveyors, Roller Conveyors, Screw Conveyor and much more. 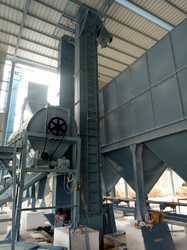 Offering you a complete choice of products which include bag stacker conveyor and bag stacker. 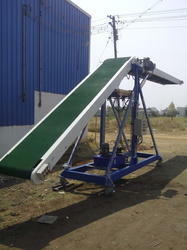 We are a leading Manufacturer of truck loading belt conveyor and truck loading conveyor from Coimbatore, India. Providing you the best range of stacker conveyor and bag stacker conveyors with effective & timely delivery. 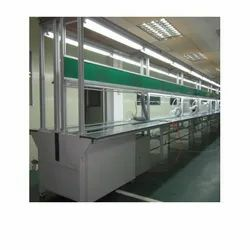 Providing you the best range of belt conveyor, rubber belt conveyor, trough belt conveyor, assemble belt conveyor, flat belt conveyor and roller belt conveyor with effective & timely delivery. Offering you a complete choice of products which include slat conveyor system, slat conveyors, slat chain conveyor system, heavy duty slat conveyor system and industrial slat conveyor. 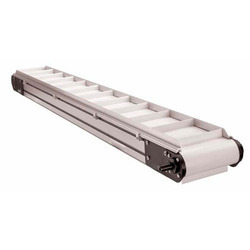 Providing you the best range of roller conveyor, powered expandable roller conveyor, heavy duty gravity roller conveyors, stainless steel roller conveyor and gravity roller conveyor with effective & timely delivery. Pioneers in the industry, we offer telescopic belt conveyor system, telescopic conveyor, mobile truck loading conveyor, telescopic roller conveyor and container loading conveyor system from India. 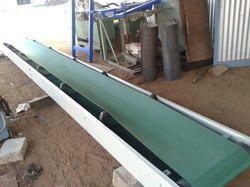 Prominent & Leading Manufacturer from Coimbatore, we offer pvc conveyor and portable belt conveyor. 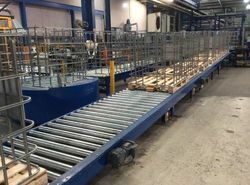 We are acknowledged in the industry for our ability ofmanufacturing, trading supplying&providing servicea range of sturdily constructed and exceptional range ofIndustrial Conveyors. 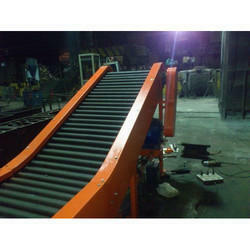 In which includesTextile Conveyor, Belt Conveyor&Screw Conveyor. 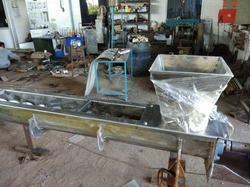 Our company also caters to a wide market for Steel Fabrication Services. Our offered products are widely applauded by the customers for their attributes like resistance against rust, seamless finishing and excellent performance. Clients can customize these products as per their specific requirements. Manufacturer of a wide range of products which include horizontal cleated belt conveyor, inclined cleated belt conveyor, cleated belt conveyor and cleated belt conveyors. We are a leading Manufacturer of stainless steel chain conveyor, slat chain conveyor and drag chain conveyor from Coimbatore, India. Our product range includes a wide range of bucket elevator and bucket elevator casing. 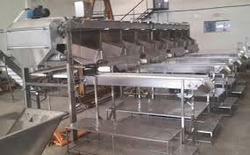 Leading Manufacturer of ss screw conveyor and mild steel screw conveyor from Coimbatore. Providing you the best range of stainless steel inclined screw conveyor, u type stainless steel screw conveyor, stainless screw conveyor, stainless steel screw conveyor with steaming tunnel and stainless steel screw conveyor with effective & timely delivery. 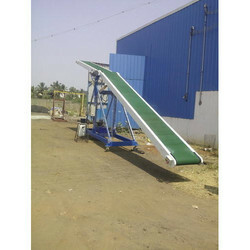 Leading Manufacturer of apron conveyor from Coimbatore. 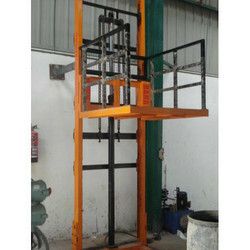 Manufacturer of a wide range of products which include hydraulic goods lift. 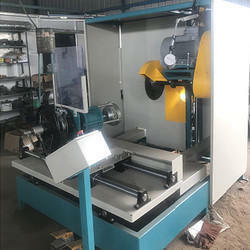 Pioneers in the industry, we offer investment cast cutting machine from India. 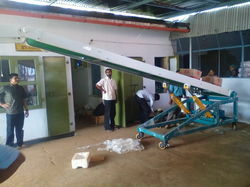 We are a leading Manufacturer of inspection conveyor from Coimbatore, India. 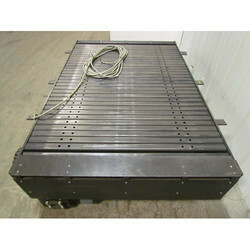 Our range of products include vertical conveyor. 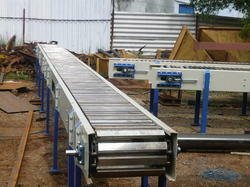 We are a leading Manufacturer of assembly line conveyors and assembly line belt conveyors from Coimbatore, India.